Did someone say “garden party”? Now that the summer heat is waning, it’s time to fire up the barbeque and take the party outdoors with a backyard bash! 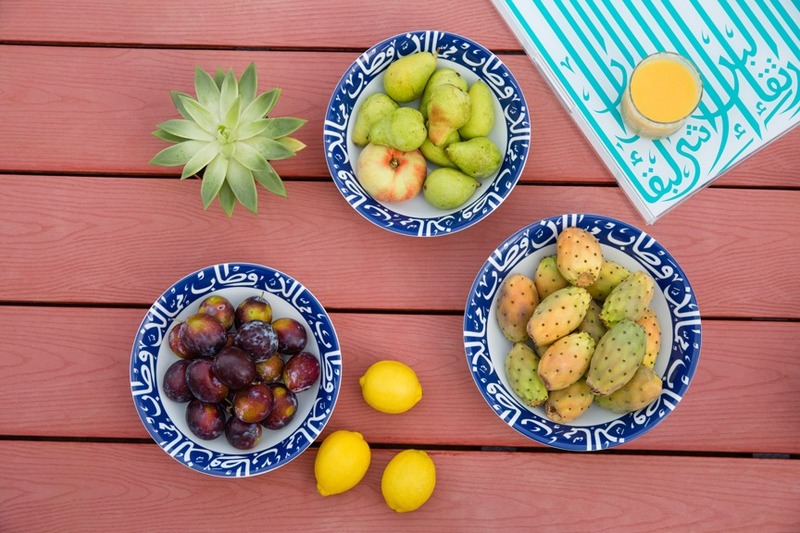 For a truly stress-free alfresco affair, you’ll want to keep the pests — and the guests — from buzzing in your ear. Here’s how to create an outdoor oasis where the revelers are satisfied, and no one gets eaten alive. We’ve included everything from backyard prep to flowers, so make sure your next open-air celebration is a breeze with these easy entertaining ideas. Outdoor soirees tend to feature hearty, grilled foods such as ribs, chicken, steak, burgers and fish, with side dishes like corn on the cob, fresh salads and coleslaw. Foods like grilled vegetables or halloumi dressed with olive oil, or grainy salads such as wild rice, and couscous, hold up extremely well and can be made in advance. Big pitchers of iced tea and fresh lemonade all complement the informality of a barbecue, and the only thing you’ll have to worry about is whether you’ve got enough ice in the freezer. Keep hors d’oeuvres simple: chips and dips, and vegetables crudité platters work well. Don’t forget the condiments – ketchup, salsas, mustard, pickles, chutneys and tapenades – but serve each in a dish with small spoons, never from the jar. 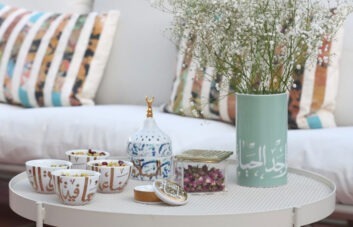 Fruit salads and ice cream are the perfect way to end the meal, especially when served up in our blue and white Ghida Bowl. Lemon cakes and fruit tarts are quintessentially perfect for garden parties and look great on our gorgeously green Kalimat Cake Stand. Just keep desserts chilled before you’re ready to eat them – not that they’ll last long once they’ve been served! Don’t worry about serving each guest individually. 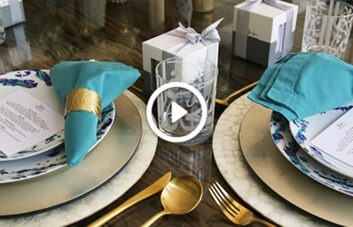 Instead, serve up dishes buffet or family style, depending on the size of your party. This way, guests can help themselves to their own desired portions and easily go back for seconds! We suggest piling delicious delicacies onto our Large Ashkaal Serving Platter and dishing up greens in our Ghida Salad Bowl. 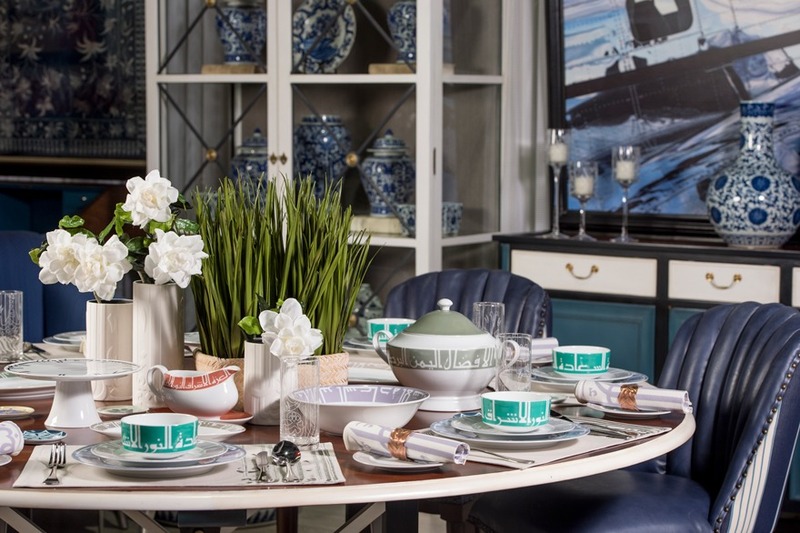 Don’t get overly fussy with matching china: an eclectic mix of plates feels laid-back and effortless. Mix and match different patterns and colors to your heart’s content, but keep a common cohesive thread throughout, so it doesn’t look like a big mess. Try sticking to one or two color themes, and this should help! 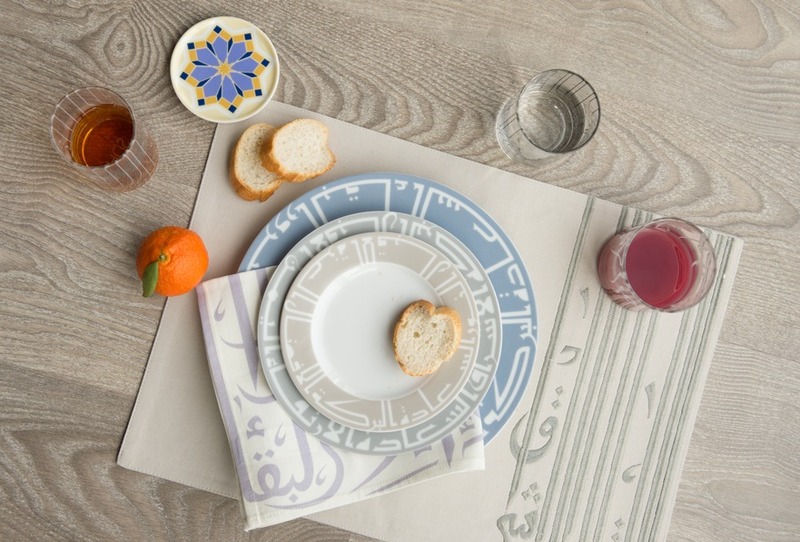 We love the colors of our Kufic Plates for a relaxed pastel combination. 5. Are you sitting comfortably? Got all your favorite people coming round, but don’t have enough garden chairs? First things first, assess your indoor furniture. The easiest option is to use dining chairs, along with any stools or poufs. 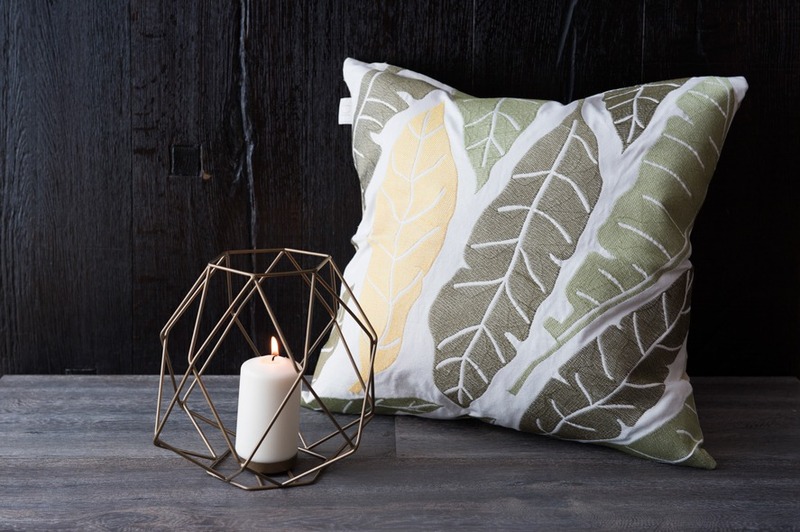 If you’re keeping things casual, you can spread pretty quilts and pillows on the ground and let people gather picnic-style – the nature-inspired Savanna Cushion Covers are a perfect addition. Picnic blankets are easy to store, so keep a bunch of them on standby. Don’t invest in tonnes of garden furniture unless you’re going to use it a lot. If you do buy some, choose good-quality pieces that will weather a few winters. And don’t forget to cover your garden chairs and benches with cushions and pillows for seating that is extra comfortable, to encourage guests to linger. Spark up the conversation and mingling by setting up multiple tables in separate areas – say, drinks in one spot, desserts in another. This will give you extra space for food and drinks, while enticing guests to roam. Fill your patio or decking area with fresh flowers for any outdoor event. Arrange seasonal blooms in Silsal’s Ghida Vases for a sophisticated look. Floating peonies and gardenias also make a lovely centerpiece. 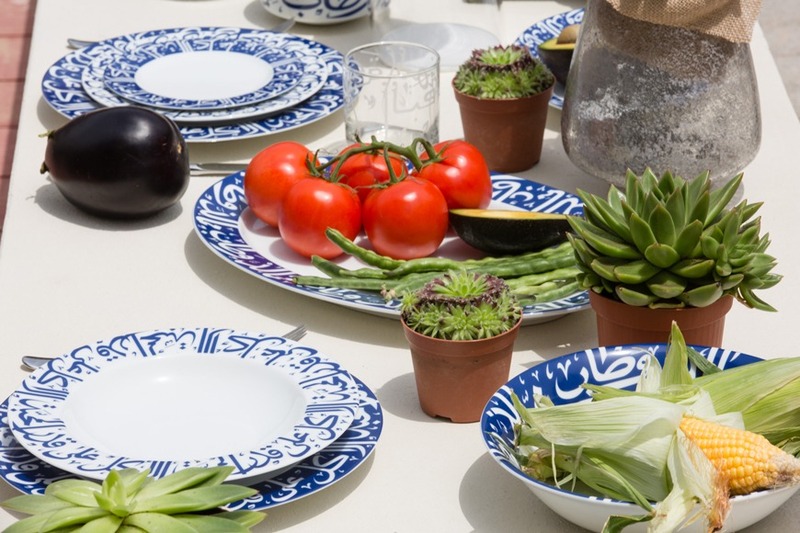 Just pour water into a large serving dish, like our porcelain Turquoise Accents Platter, trim the stems off each flower and voilà. Don’t leave guests in the dark – if you’re outside after the sun goes down, you will need lights for function as well as for ambiance. It doesn’t matter if your outdoor space is large or small, you can easily turn it into somewhere enchanting for entertaining. Hang fairy lights on the deck and even in tree branches, and add some candleholders with tealights. 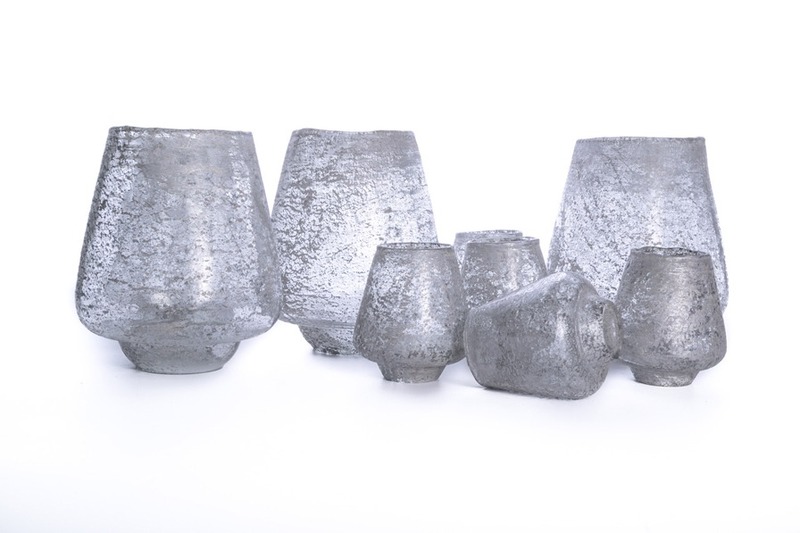 Silsal’s Bronze Ashkaal Candle Holder or Handblown Candle Holder, in large and small sizes, look stunning when clustered together, giving an elegant glow and bringing the garden to life after dark. If you’re inviting lots of little ones, why not use battery-powered candles rather than the real deal? Remove any standing water a week before the party. Empty out the kiddie pool, the rain gutters, and any water that has collected in the bottoms of flowerpots. Also, plug in some fans to create enough airflow to keep them away. This works best in a small area, like a deck or patio, where you can set up two or three fans around your guests.